Combine the creative masterminds of Jim Henson (The Muppets), George Lucas (Star Wars) and David Bowie (pop icon) and the only possible result is a classic that will delight generations beyond imagination. 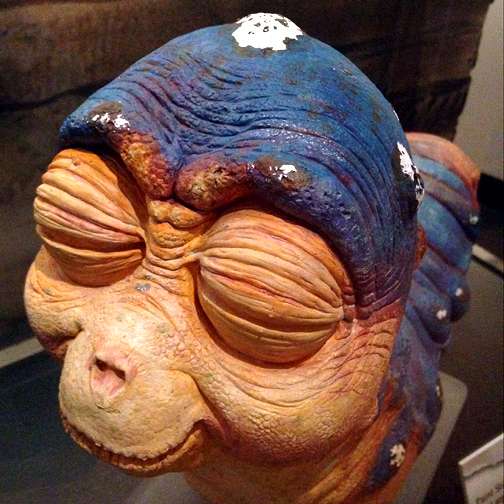 Imagination is precisely what went into Jim Henon's Labyrinth. Mastery of the aforementioned person's respective professions is precisely what brought Labyrinth to fruition, which continues to be a movie and puppetry fan favorite! 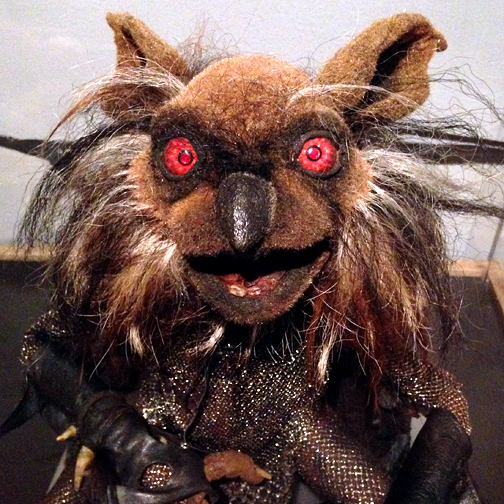 Jim Henson’s Labyrinth: Journey to Goblin City, A 30th Anniversary Celebration opens at the Center for Puppetry Arts on Friday, September 2, 2016, part of the Center's 30th anniversary celebration of the fantastical film Labyrinth. On display in this immersive special exhibition, in addition to many other items, are more than 20 never before seen artifacts and memorabilia from the film. You'll see noted on the placards accompanying the items on display if it was used in the film 30 years ago. 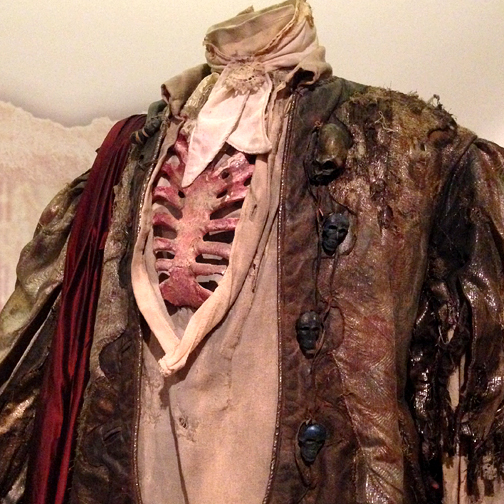 Featured items include original goblin puppets from the film, the plaster mold for the head of the original Hoggle puppet, crystal balls used by David Bowie, his costume from the M.C. Escher-inspired stair scene and behind the scenes video, photography and drawings from the production, multiple props and masks used in the film and clever movie-inspired markers indicating how to navigate the labyrinth-inspired exhibition space. When I first walked into the exhibition, around the first corner I wanted to continue to the right, then heard a voice that said "Not that way!" (or something like that). I looked around and then noticed the markers on the floor indicating the correct way to proceed through the brick-walled labyrinth that is this exhibition. The exhibition is relatively small, but in no way modest. There's artifact after artifact, video after video, images and copy blocks...you could easily spend an hour or more exploring this spectacular exhibition! Most of you who have read this far probably know what Labyrinth is about, but if you do not, or it's been 30 years since you've seen it, it's an exciting story about a selfish 16-year old girl, performed by the wonderfully talented Jennifer Connelley, who has only 13 hours to solve a labyrinth and rescue her baby brother. She had wished for him to be taken away, which was granted by Jareth the Goblin King, performed brilliantly by David Bowie. 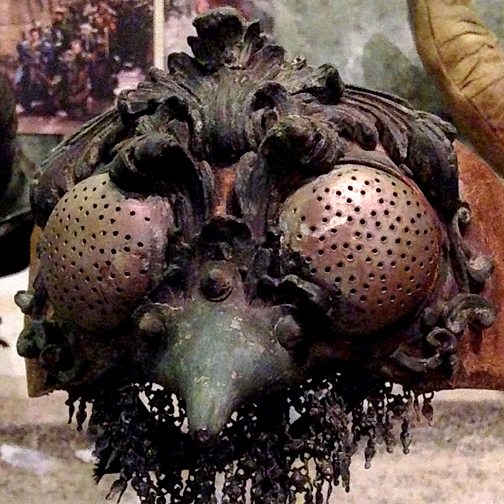 In conjunction with the opening of the exhibition and the opening of Dragon Con, the evening before, on Thursday, September 1, the Center for Puppetry Arts will host The Labyrinth Masquerade Ball! Labyrinth-inspired costumes are encouraged as there will be a costume contest, judged by none other than Brian Henson—son of Jim Henson and cast member of Labyrinth—who will award Henson-related prizes to the winners! I had not realized it before, but in researching I found out that the late Kenny Baker (of R2-D2 fame from Star Wars) was also in Labyrinth, a member of the Goblin Corps. I'm certain there are many, many more connections between cast, crew and other works, but that takes nothing away from Labyrinth being wholly unique. 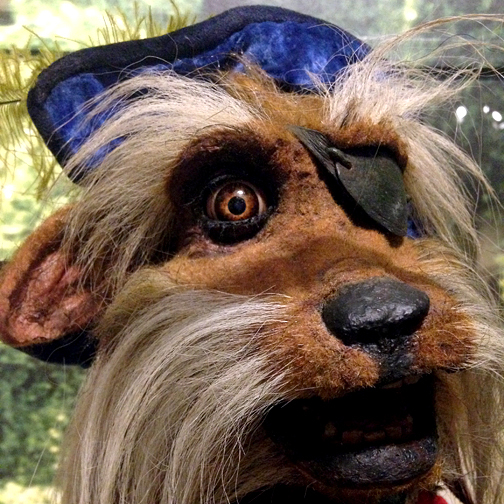 Be sure when you visit that if you're visiting just to see Journey to Goblin City, that you make time to stop in the Worlds of Puppetry Museum...it has a section dedicated to Jim Henson's Labyrinth, which includes (pictured above) Sir Didymus! You will notice placards in the Journey to Goblin City thanking the Henson Family, and the many other contributors to the exhibition, but if you ever meet a member of the Henson Family, please thank them for their treasured contribution to the Center for Puppetry Arts and to Atlanta...it means more to the puppet and puppetry fandom than perhaps they'll ever know. 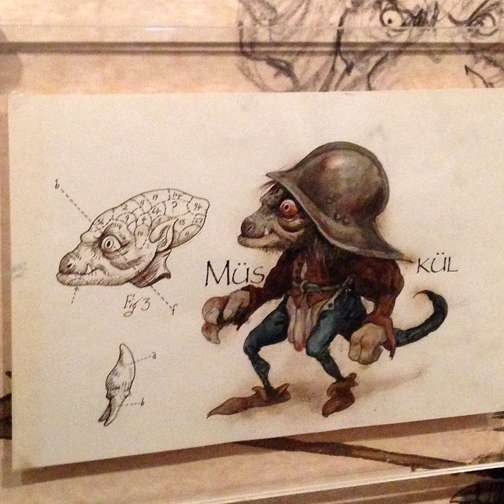 Jim Henson's Labyrinth: Journey to Goblin City is on display through Fall of 2017, but don't wait. 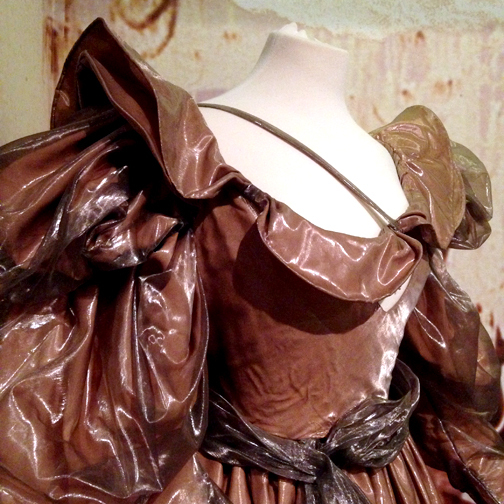 This is one exhibition, a truly special exhibition, that you do not want to miss. Check out what else is going on at the Center for Puppetry Arts and perhaps couple another event or activity with seeing Journey to Goblin City! Dear Travis, please either fire your proofreader or encourage them to take more time before uploading articles. A closer examination of your text will reveal what I am speaking of. Many thanks, a concerned reader. Thank you for your feedback and my apologies for the poor proofreading. One of my greatest desires is for my readers, followers and fans to enjoy what I share here. There is no one to fire...I'm the sole writer and proofreader of "wanderlust ATLANTA". It's a hobby and it's not all monetized. That's no excuse for not proofreading more closely, I totally agree, but six years and 825+ posts later I continue to have great fun authoring it and will endeavor to make more time for proofreading. Again, thank you for the feedback and for reading my blog. I do hope you will continue! Oh my, that looked like quite the adventure.